On the face of it, almost everything about Chapel screams of an act with such a tight grasp on what makes the modern alternative scene tick. Here’s a duo of ex-metalcore musicians coming together for an indie-pop halfway house between rock and pop that feels more than a bit inspired by the likes of PVRIS and The 1975. This certainly isn’t a new phenomenon, but that’s all the more reason for Chapel to pull out something on Sunday Bruch that’ll give them that footing to stand out. And honestly, while it might seem a bit slight and throwaway on the surface, digging deeper into Sunday Brunch reveals a sleek, smart pop-rock listen that, for a debut especially, casts its net out wider in terms of ambitions and manages to reel in a pretty engaging listen. It’s no big revelation for why this is the case either; Chapel still play to big, slightly naïve emotions on Caught Up and Fool’s Gold, but Carter Hardin’s writing proves to be a lot tighter and instrospective than usual. That can lead to some lines where the scansion is a little off (see Don’t You Love Me‘s assertion of “She’s kinda classic, baby, call her Bill Murray”), but when that also leads to the criticism of an incapable mother on Cindy White, that can hit with some potency and added layers that are highly appreciated. It sits in stark contrast with how lightweight and breezy the instrumentation can be, frequently drawing on a sunny brand of synthpop that most modern alternative acts seem to be enamoured with. Thankfully, Chapel are capable are keeping it as workable as possible, and bar the wheezing organ that appears on the already dry piano ballad See You Again, Sunday Brunch is remarkably tight on that front. Overt rock elements are limited, but Kortney Grinwis’ organic drumwork avoids a slide into overly synthetic territory, and when the explosive pop-rock guitars come in on Caught Up, Chapel can be seen at their most confident and anthemic. Even for as minimal as these instances may be, the immaculate production quality and a knowledge of a high-class synthpop hook keeps Sunday Brunch afloat, whether that’s the choral swell of We’ve Got Soul or the surprisingly intricate tropical house drop of Miss Monogamy. As far as an introduction goes, Chapel’s is certainly solid as hell, distilling everything appealing about what they have to offer into a lean seven-track release with little margin for error. That does mean it can feel constricted and overly scrutable of itself (See You Again being the most blatant example), but this has a lot going for it in terms of writing and hooks that have already been honed by a great deal. The shelf life of their scene puts a question mark over how far they could actually take this, but if there’s another act due to come around and make a splash bigger than the boundaries that hold them, Chapel wouldn’t be a bad bet. 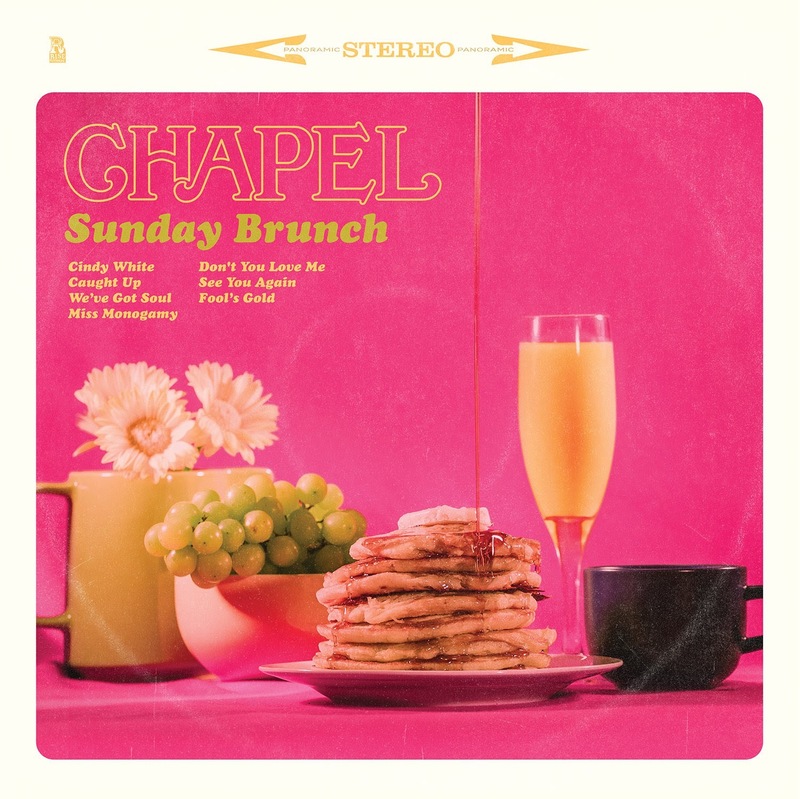 ‘Sunday Brunch’ by Chapel is released on 17th November on Rise Records.